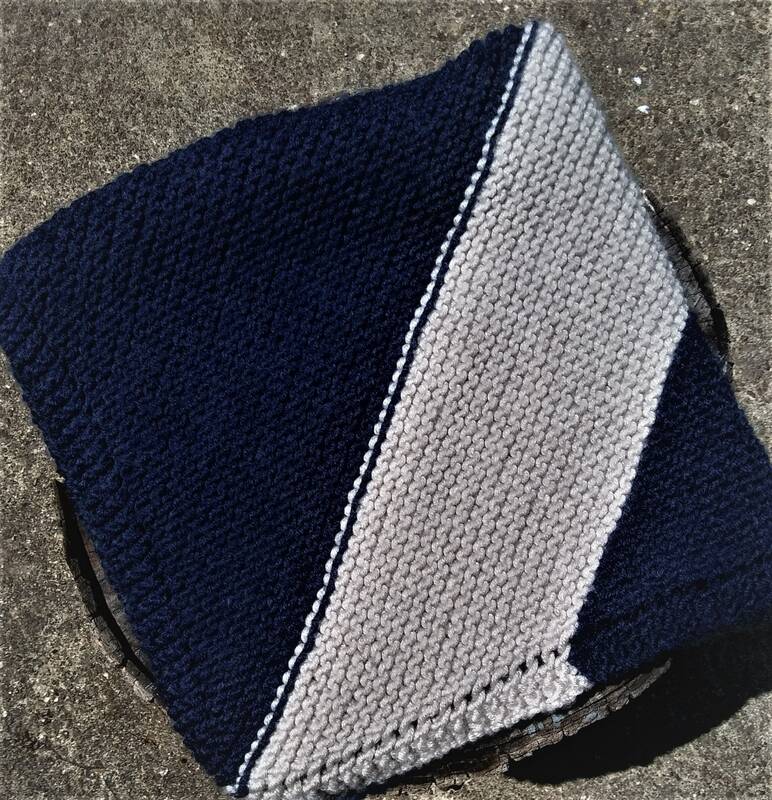 This cute hand knit wool blend baby blanket has a vintage vibe. 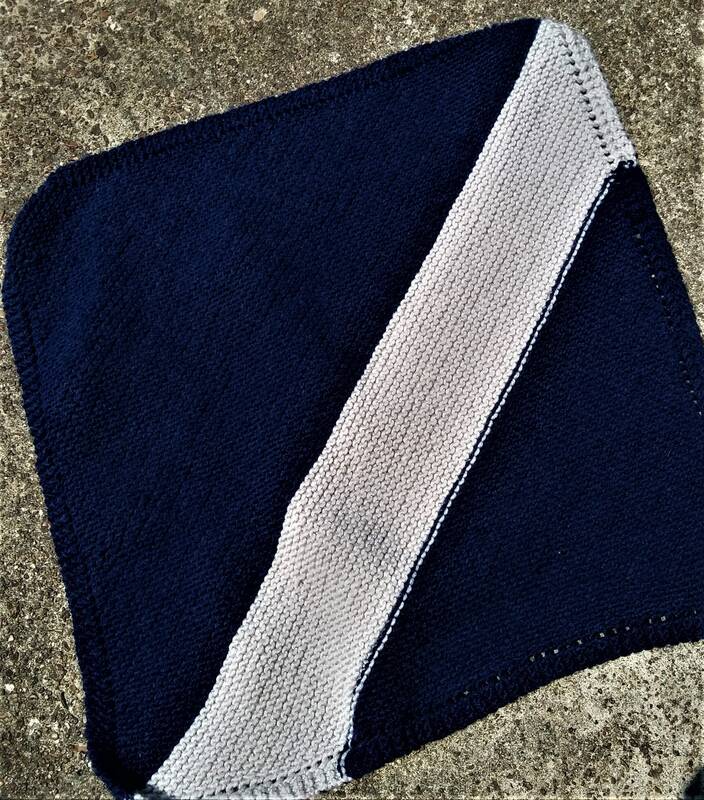 It is soft and perfect for a comfort blankey. The size is about 25 inches by 25 inches. For more information shoot me a message and I'll be glad to answer your questions.